A brief book, a small study, “an occasional one” that Lyotard himself did not consider either important or a work of philosophy, The Postmodern Condition: A Report on Knowledge (1979) came to be his best-known and most referenced book for those seeking to “define” the Postmodern and its “condition.” Indeed, this is a remarkable little book: remarkable in that it is less about Postmodernism and more about knowledge, remarkable in that it was remarkably prescient in its predictions, and, therefore, remarkable in that the generation of the 21st century reads this book in a way quite different from those who read it in the 1980s. Written at the request of Quebec’s Conseil des Universités to re-consider knowledge in the new computer age, The Postmodern Condition is actually a book on science and how knowledge is formed and acquired and, most interestingly to us today, how this knowledge (conditioned by postmodernity) would be impacted by the new technologies of the computers. 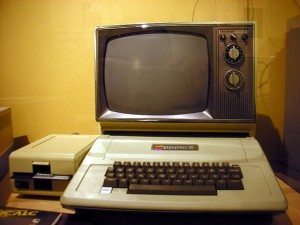 For the Postmodern theorists reading Lyotard’s concise report for the first time, the discussions of computers was more abstract than real–after all, in the 1980s, personal computers were still uncommon and their potential was beyond the cognitive horizons of most academics of the period. Lyotard’s insights and predictions as to the impact of computer technology upon universities and learning were usually passed over in favor of his rather brief “definitions” of Postmodernism without taking note of precisely why and how his definition grew out of technology. Re-reading Lyotard from the future, so to speak, it is now possible to see The Postmodern Condition in an entirely new light–is computer technology the real “postmodern condition?” Experiencing the book is rather like entering the mind of Lyotard at a point when he was both looking backward and peering forward into the future. There are a few meanderings in the direction of the defender of Modernism, Jurgen Habermas, a pause to disagree on the question of Modernism vs. Postmodernism, now an old question in the post-postmodern era. As though to point out the obvious and to establish the already established, Lyotard began the book with a now famous definition of Postmodernism: “I define postmodern as incredulity towards metanarratives.” This sentence is tossed casually into a short section on knowledge and its legitimation and reveals a Lyotard looking back and remarking on the fallen state of post-war culture, after the Holocaust, after imperialism, after the sciences had shaken the preexisting belief systems. Of all the Postmodern writers, perhaps he was the most political. With a career that dated back to the forties, Lyotard was an eyewitness to the Holocaust and to the end of French colonialism in Viet Nam and Algeria and to May 1968. One by one, the metanarratives of power and control came an end, totalitarianism (totalization) was (briefly) defeated, but the promise of Marxism as an alternative proved to be a delusion. For the post-war generation watching the crumbling of the comfortable sustaining narratives of received wisdom, the old stories could no longer be told and there was nothing left to believe in. Only science survived with any shred of authority. Lyotard was criticized by some for not including culture or the humanities in his assessment of knowledge but culture is a metanarrative, history is a metanarrative and a scientist, he states, holds such tales in scorn, “Narratives are fables, myths, legends, fit only for women and children.” But because they purport to tell the “truth,” narratives are also dangerous: “We know its symptoms. It is the entire history of cultural imperialism from the dawn of Western civilization. It is important to recognize its special tenor, which sets it apart from all other forms of imperialism: it is governed by the demand of legitimation.” Legitimation is difficult territory for Lyotard who saw a crisis in legitimation, a symptom, as he said, of the contamination of “metaknowledge” by the poison of ideology. As he recounted, “The speech Heidegger gave on May 27, 1933, on becoming rector of the University of Freiburg in Breisgau, can be read as an unfortunate episode in the history of legitimation.” Unlike many of his confrères, Lyotard was an unsparing critic of Martin Heidegger and held him accountable for the Nazi ideology that left its traces within his philosophy. Heidegger managed to slide back into the good graces of French intellectuals, return to his university, and far too quickly the waters of the present closed over his past and intellectual and moral crimes evaded memory. In contrast, Lyotard was of a different generation, intensely aware of the historical disruptions that had taken place, ending the Enlightenment, ending imperialism, ending colonialism, ending hope, ending Modern philosophy. Like other Postmodern writers, Lyotard rejected the notion of the Western master narrative, which was a narrative of command and control; and, in fact, he is the philosopher associated with the pronouncement of the end of the grand récit or the grand narrative. The collapse of the over-arching narrative happened, not just because science had confronted faith but because it was no longer possible to “believe” in the discourses that had once ruled. Lyotard was left with one haunting question: “Where, after the metanarratives, can legitimacy reside?” He continued, “Postmodern knowledge is not simply a tool of the authorities; it redefines our sensitivity to differences and reinforces our ability to tolerate the incommensurable. Its principle is not the expert’s homology, but the inventor’s paralogy.” And paralogy–or the challenge of an alternate discourse–disorder–is at the heart of Lyotard’s solution to the end of the metanarrative, which, oddly to those who have heard so much of this word, will be mentioned only a few more times in the report. So, if the book disposes of metanarratives briskly, puts the past aside, then what future is the book about? Lyotard carried out his charge: “Our working hypothesis is that the status of knowledge is altered as societies enter what is know as the postindustrial age and cultures enter what is known as the postmodern age.” The post-war age ushered in a period that would be dominated by science and by scientists who worked with the huge primitive computers during the Second World War and wanted to continue to develop this new technology after the war. These were the scientists who imagined the Internet and understood that knowledge could be, and already was, being stored on computers. Those involved in computers, science, and technology understood the implications of computerized knowledge, and institutions of higher learning, many of which housed the massive computers, grappled with the future possibilities. The Apple II of 1977, capable of playing games, processing words and operating spreadsheets. As we pass into the second decade of the 21st century, we recognize that Lyotard foresaw the slow death of print publications and the rise of digital publishing, and in addition he provided the vocabulary for that will be deployed by current theorists, such as Axel Bruns (Blogs, Wikipedia, Second Life, and Beyond: From Production to Produsage of 2009). Lyotard considered that any form of control of knowledge was a form of violence and terror against intellectual freedom, using words, “violence” and “terror,” words that were strong and were laced with his past experiences with totalizing systems. For the current reader, these remarkable passages are early warnings of the fight to keep the Internet, a system that Lyotard did not live to see fully developed, free and open and accessible to it users on an equal basis. But in-between the pages where Lyotard announced the end of the metanarrative and the active participation of the public in the production (and control) of knowledge is his discussion of science/knowledge (information) and how knowledge can exist under the “postmodern condition” through language games. With a nod to Ludwig Wittgenstein, language games have the capacity to bring about counter narratives or “little narratives” or paralogy, which, as he said, was at the heart of postmodernism.